Drama; 93 minutes; Color. Available from Philomath Films. Murderers, thieves, and a child abuser, in prison on long sentences, seek self-discovery by playing roles in a production of Shakespeare’s great last play, The Tempest. Since actors in Elizabethan times were considered to be criminal low life, Shakespeare would feel right at home with this troupe. As they prepare for performance, the men reflect on their crimes and the meaning of forgiveness while discovering remarkable parallels between their own lives and the experiences of the characters they play. The film shows how Shakespeare is still relevant today. It builds upon, modernizes and extends themes in The Tempest. It upends many of the assumptions viewers might have about violent criminals. This racially mixed group of inmates are perceptive, funny, engaging, articulate, and seemingly remorseful. An update on the prisoners’ status at the film’s conclusion is startling. In spite of their seeming self-awareness and capacity for growth, some of the central subjects do not do well after the movie is completed. One tragic occurrence is listed in the update. It puts a human face on the hotly debated issue of sentencing young offenders to life in prison without the possibility of parole. This movie demonstrates the continuing relevance of Shakespeare to contemporary life and can be a source of inspiration for students. The film can be used as an interesting introduction to The Tempest or as a follow-up after studying the play. Shakespeare Behind Bars is also useful on its own. Careful consideration of this documentary will lead students to examine the sometimes tenuous connection between remorse, repentance and future action; challenge stereotypes about prisoners, and raise issues society must wrestle with regarding incarceration. Several research topics for expository essays are suggested. Students will have a greater appreciation for Shakespeare’s The Tempest. Watch the movie with your child and talk about any of the discussion questions that might interest him or her. Teachers may want to stop the film just before the coda which describes what happened to each of the main characters after the filming of the movie and ask question #2 from the Worksheet: “Before you saw the closing credits, which convict did you think would benefit the most from his experience playing a role in the play? Explain.” Then show the coda and have the class comment on any differences between what they expected and what actually happened. 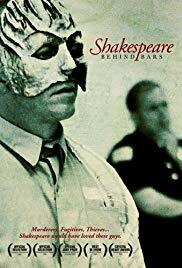 Many of these questions were suggested by or taken from the excellent review of this movie appearing in Film Notes: Shakespeare Behind Bar from the New York State Writers’ Institute, State University of New York, written by Kevin Hagopian. Before showing the film review with students the questions on the Worksheet for Shakespeare Behind Bars. Teachers should review the worksheet and make any modifications necessary for their classes. Note that any of the discussion questions below can be substituted for prompts in the worksheet and vice versa. After the film has been watched, engage the class in a discussion about the movie using any of the questions in the Worksheet or any of the following questions. Note that there is no one correct response to any of the questions. 1. What do the experiences of the men shown in this movie tell us about how art can transform the human condition? Think about the life a prisoner serving a 20-year sentence who participates in the program compared to one who doesn’t. What do they have to think about at night in their cell – or during the day and the long hours of boredom? 2. Do the men in the cast deserve any chance at recovery? Recovery is something that comes from inside of a person. A person must want to be different and be willing to work at it. Opportunities, such as the self-knowledge gained by acting a part in a play, can be of assistance in a process of recovery. 3. Should the victims and the families of the victims forgive these felons for what they have done? The person who forgives often gets more from the forgiving that the person who is forgiven. Forgiving allows the victim or the victim’s friends and family to heal and move on with their lives without being held back by an obsessing on the crime and the loss caused by the crime. Teachers may want to tell students the story of Amy Biehl and her parents or have students research the story and make a presentation to the class. Forgiving can be seen as a coming together of people who are separated by a wrong committed by one against the other. 4. Should society try to rehabilitate criminals? Strong answers to this question might refer to how bad the alternative is. If we give up hope on people, it will be almost impossible for them to recover. Even if rehabilitation is often unsuccessful, giving up hope is a very bad alternative. 5. What must these criminals (or anyone else for that matter) do before they can ask for forgiveness? They must truly repent and then the must try to redeem themselves by taking concrete steps to make up for what they have done. Of course, being in prison can make this very difficult, but there are still avenues in prison to be helpful to others. 6. Obviously, the prisoners get something from the Shakespeare Behind Bars program, what is it? Possibilities include, release from boredom, a way to connect with something good and timeless, an affirmation of the better part of their natures, assistance in rehabilitation.